For my trip to the Himalayas, I opted to equip my Honda Transalp 600 with a full soft luggage system. The GRT709 (35 liter) of the Gravel-T series of Givi is particularly suitable for off-road riding. 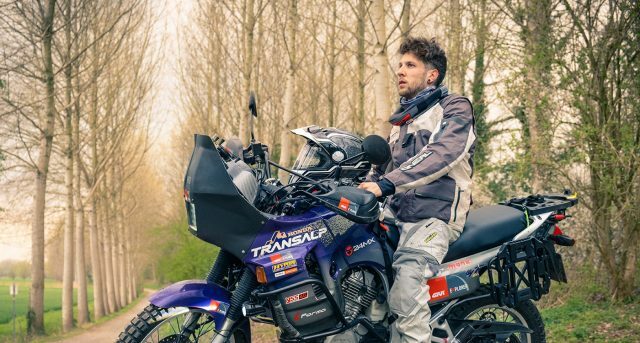 They are fully waterproof, well build, have a removable waterproof liner, lighter than hard panniers and safer when falling off-road. Furthermore, they have several expansion possibilities and have a lockable quick-release plate, which makes it very easy to mount them. 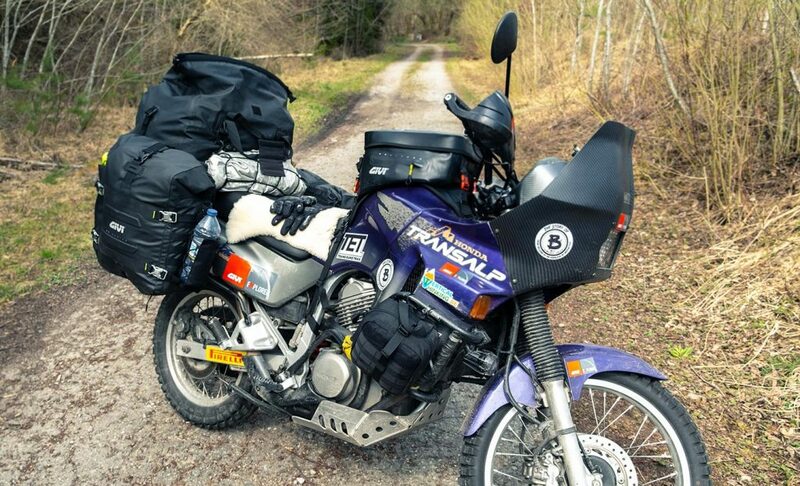 From the same Gravel-T series, I’m using the fully waterproof tank bag (GRT715) which is 20 liter and is compatible with the Givi Camera bag. With this set-up I have a waterproof and solid solution to store my camera and several lenses. At the back, I’m using the 60-liter roll-up saddle dry-bag. This is perfect for storing all my camping and sleeping gear. Since I will ride a serious portion of off-road and am not a pro-rider, I will probably fall once in a while so I installed some engine guards. Last but not least, I am using their S322 LED auxiliary lights. These are just super bright, have low power consumption and bomber proof made! For my personal protection I like to wear a soft harness like the Leatt 3DF airfit lite. It offers way better protection than a regular motorcycle jacket and is less bulky than a hard-shell harness. In hot weather you can ride with the harness only for superb ventilation! I wear a soft neck brace. It offers less protection than a hard one, but is a perfect trade-off between cost, weight, space and protection. I wore several soft adventure boots but was never satisfied with the stiffness of the sole and protection of the ankle. Eventually I bought a pair of Adventure boots, which offer a Gore-Tex membrane, high gaiter, ankle hinge and several hard-plastic protective zones. Especially when riding alone, you don’t want your foot to be stuck (and crushed) underneath your bike! I’m not a big fan of integrated knee protectors. They don’t offer decent protection when riding off-road, are tight in the pants and sometimes create pressure points on the knee caps. Therefore, I opted for the Alpinestar SX1. It is a comfortable knee protector which offers decent support for a knee protector (in comparison with a brace). Furthermore, you can strap them over a normal trouser in case it is very hot or you ride for a short distance. For riding jacket and trousers, I like to ride with gear that has no membrane inside. It is in general cheaper, lighter and better temperature controllable. And when it’s raining, I simply use a bomber proof rain suite!